William S. Davis a builder was the creator of the first caravan camp site in Pooles Lane, Hullbridge. 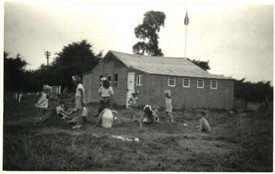 In a newspaper article from 1950 Mr Davis states that because of a post-war shortage of building materials he was unable to construct houses and so helped pioneer the caravan site for homeless families. 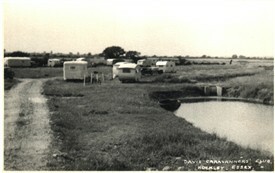 The Davis Caravan Site soon became known as the Halcyon Site. Later the site was bought by Mr Berkeley whose company 'Berkeleyparks' still owns it today. The postcard pictures were taken by Mr A. Cook around the late 1940's. This page was added by David Whiffin on 07/09/2013. 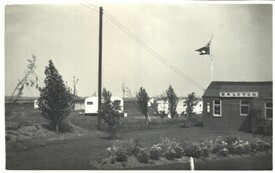 I lived on the Davis caravan camp from 1948 until late 1950. And was just doing some family research when I found your web site. 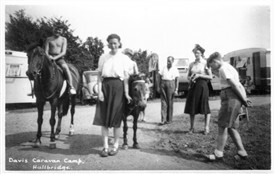 I was truly amazed, the top post card, the Lady with the donkey is my Mother! So that would have been the summer of either 1948 or 49. Is there any way I could get a copy of the postcard?